Football has the power to bring us together. 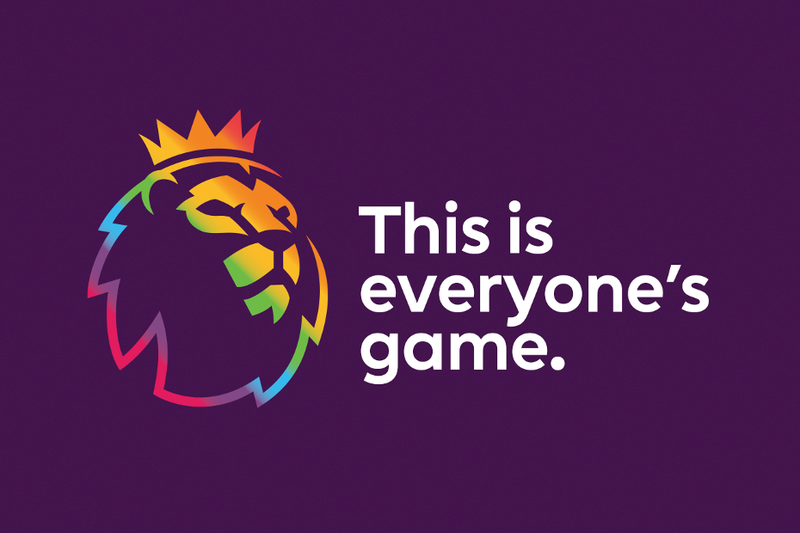 That's why we, the Premier League, proudly stand alongside Stonewall in promoting equality and diversity. Our clubs came together between 30 November and 5 December to celebrate Stonewall's 2018/19 Rainbow Laces campaign and showed support for all LGBT people in football and beyond. At all Premier League fixtures across the two Matchweeks there were bespoke Rainbow Laces pitch flags, ball plinths, handshake boards and substitutes boards. There were also see rainbow captain's armbands and rainbow laces. LED boards at the stadiums also highlighted the campaign and our social media channels featured a rainbow Premier League logo and promoted the campaign. Each club also highlighted their support for the campaign. Indeed, we ask that all fans support LGBT people in football and beyond by making them feel welcome. Show your support. Because when we all play our part, we make football everyone's game. As part of creating a welcoming and vibrant atmosphere, we encourage everyone to challenge and report abusive behaviour wherever they find it, in stadiums or online. But please use official channels and be careful not to put yourself, or others, in harm's way. If you are affected by an incident, or witness abuse, at a match, where possible it’s best to report this at the time so positive action can be taken. The stewards can provide immediate assistance or are able to contact quickly the stadium control room, which is staffed by senior safety officials and the Police. Stewards, who can be clearly identified by their fluorescent jackets, are located at the front or rear of seating blocks, by the entrances to stands and stairwells. Some stadiums also offer a reporting phone or text line. These details will be advertised in and around the stadium, on club websites and in match programmes. The Premier League partners with Kick It Out, football’s foremost equality organisation. Details are always passed directly to clubs or the relevant body for further investigation.